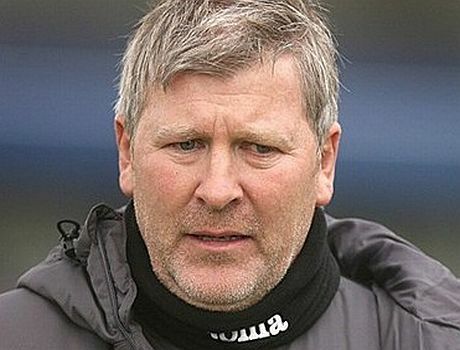 Weston Super Mare AFC is pleased to announce that Mark McGregor has accepted the additional role of assistant manager to Craig Laird after John Hales moved to Bristol at the beginning of the season. Mark originally joined Weston Super Mare AFC several seasons ago, but transferred to Worcester City at the close of season 2009/2010 before again joining Weston AFC during the 2010/2011 season as a player. He has proved himself to be a consistently solid team member, and has provided excellent support and experience to the squad. Mark explained that in order to fulfil the role he will need his FA Coaching B License, and is at present working hard towards this goal. At the same time, he advises that he is looking forward to the challenge of helping Craig with the team. He hopes that he can learn a lot from Craig but believes that his experience will be invaluable to the younger players. The Board want to thank Mark for accepting the role and fully endorse his appointment which will benefit the club and the team. 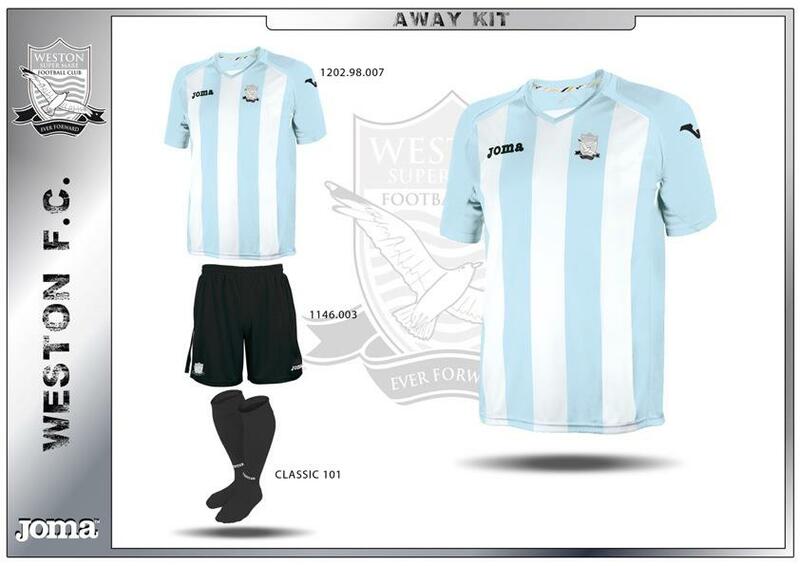 The club are delighted to be able to unveil our kit and training wear for the 2012/13 Blue Square South season. All kit has once again provided by Joma, whilst the home and away kit will be kindly sponsored by Eurocams. 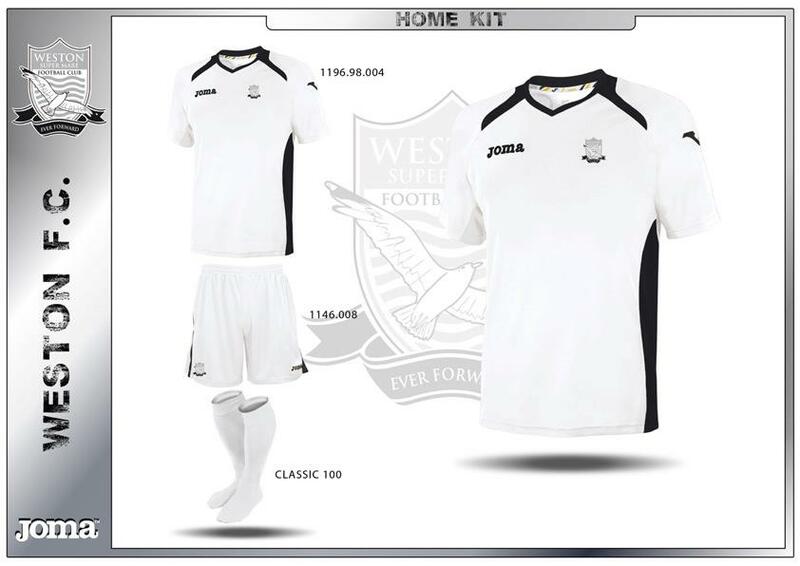 This year sees the traditional white home shirt matched with white shorts, a look The Seagulls sported in cup matches last season. The 2012/13 new away kits resembles a throw back to an “Argentina” national sides strip, with sky blue and white stripes, accompanied by black shorts. Prices for all 2012/13 kit wear will be announced soon, and will be available in the club shop and will be able to be ordered through the usual means, so keep your eyes peeled for more updates! Of course, there is a range of leisurewear and outerwear too, which can be viewed on the club’s official website. These pictures have been used with full permission of the club, and were provided by their Press Officer, Richard Clark for which we are hugely grateful.